David P. Cook, Ph.D. is the Assistant Dean for Graduate Studies at the Strome College of Business at Old Dominion University, and recently shared with Online MBA how they maintain the quality of their program, which was highly ranked in our 2019 ratings. 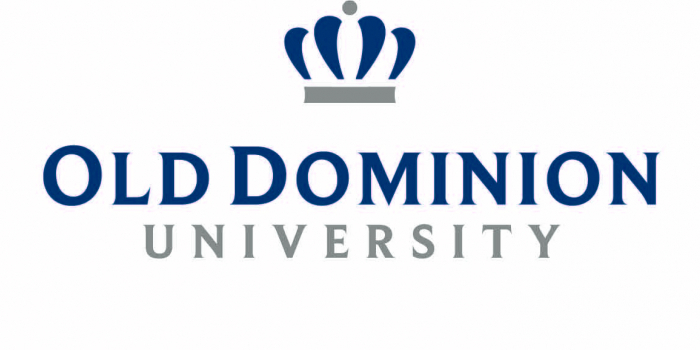 Congratulations--- Old Dominion University was ranked #3 in Virginia and 21st in the East in our 2019 Online MBA Report rankings. How does the program maintain its high quality? The success of the ODU MBA program is based on the accomplishments of our students, alumni, and faculty. Therefore, our objective is to put each of these stakeholder groups in a position to be successful. A large part of the student MBA experience is to learn collaboratively with other similarly qualified students, and the quality of our program could not be maintained if we did not enroll students who are highly motivated and capable. Additionally, many of our graduates become engaged alumni who are willing to give back to the next generation of students in our program. This type of engagement raises the bar for excellence in the ODU MBA program. Further, our MBA faculty are nearly exclusively tenured and tenure-track faculty, many of whom are widely recognized in the academic and business communities as preeminent experts in their disciplines. They are able to bring their rich experience and knowledge to the online classroom in creative ways. And, as a forward-looking program, we recognize that there is no finish line when it comes to quality. As a result, we strive to continuously improve the program and our students’ experiences year over year. Are there any upcoming enhancements or big news for Old Dominion University? As a part of our efforts to continually improve the ODU MBA program and student experience, we are in the midst of a careful examination of our curricular content to ensure that our graduates continue to make significant contributions to their organizations for the duration of their careers. Ultimately, this means that we have to continue to develop students into life-long learners who possess skills that are not replaceable by technology. So, we are seeking to build skills such as emotional intelligence and negotiation into the curriculum in more meaningful ways. Along with our curriculum refresh, we are looking forward to systematically updating the delivery of the curriculum utilizing the most up-to-date technologies and educational best practices. What type of student typically enrolls in the Old Dominion University online MBA program? The ODU Online MBA program always seeks highly-qualified candidates who have the capability of successfully engaging in the learning process and can make an immediate impact upon the organizations in which they are employed. We actively seek out prospective students who possess excellent analytical skills yet who are effective communicators. These candidates possess excellent academic credentials, competitive standardized test scores, and a significant amount of managerial work experience. In fact, our typical student has 9.5 years of work experience. These factors combine to yield a vibrant learning community. Is there a high amount of military in the online program, as there is in the general student population (25%)? How does Old Dominion cater to this group? Similar to Old Dominion University itself, the MBA program has a significant presence of military affiliated students, including active duty military, military veterans, and their families. In our most recent classes, 25% of our new students are military affiliated. A key way we seek to meet the unique needs of our military affiliated students is to make sure our program is geographically ubiquitous and available to them in ways that meet their schedules. Recently, for example, one of our active-duty military students completed the program almost entirely while stationed in Sub-Saharan Africa and being required to travel routinely. Additionally, the Strome College of Business recently established its Military Ambassadors program to connect those who are curious about transitioning from the military to student life with those who have already experienced, or are currently experiencing, that same transition. Our MBA program has three student intakes per year: fall, spring, and summer. While our program is not cohorted, students take nearly identical paths through the curriculum. So, students tend to be functionally cohorted and get to develop networks with their classmates as a natural progression of their time in the program. Our online MBA students have full access to our faculty. Many faculty host virtual office hours where the student can use video conferencing technologies to get a truly one-on-one experience. In some cases, it is more convenient for students to communicate with faculty asynchronously through email or course-specific discussion boards and those options are also available to all students. Our coursework is almost exclusively asynchronous, so most course-related discussions are held via discussion boards. In the future, however, it is possible that more courses will begin to use synchronous components to enhance faculty-to-student and student-to-student interactions. What is unique about the structure of Old Dominion University online MBA program? There are a number of characteristics of our MBA program that make it stand out. First, our program has been designed to be available entirely online; however, if a student wishes s/he can take coursework in a face-to-face environment as well. Second, our program offers students the ability to complete one of approximately 50 add-on specialty graduate certificates to create a personalized course of study that addresses their unique interests and professional objectives. Further, our program offers flexible time-to-completion. Students may complete the program in as few as 21 months; however, if a student’s circumstances change s/he may elect to extend the time to completion as needed. Our online MBA students enjoy access to all of the same university career services that are available to their on-campus counterparts. These services are available in person and online as the student needs. Additionally, to meet the executive career coaching needs specific to our experienced professional students, we recently began to offer an “Opening Your Career Toolkit” course. This elective course stresses the importance for students of all work experience levels, from seasoned senior executive to the new mid-level manager, to proactively manage their career paths. So far, the reaction to this course has been extraordinarily positive. It is rather difficult to point out a particular faculty highlight or achievement since the ODU MBA program is staffed with highly accomplished teaching and research faculty who have been honored as Eminent Scholars, with University Professorships, and other forms of recognition for their contributions as academicians. A particular highlight in the MBA core curriculum, however, is the success Dr. Anil Nair’s Strategic Management students have had as competitors in the Capsim simulation he uses as a part of that course where student groups are pitted against other student groups at universities from across the globe. This management simulation challenges students to think about key business functions in an integrated manner to build successful companies. Dr. Nair’s students regularly place in the top-10 globally on important business performance metrics. He also recently had a student compete individually who was named as the global winner of the biannual Capsim Challenge. These are significant accomplishments for our students who are competing against hundreds of other teams. Our students are regularly placed at Fortune 500 firms and in a wide range of industries, including banking, consulting, telecommunications, and transportation firms. You will also find that many of our students leverage their online MBA from Old Dominion University to accelerate their careers with their current employers. Many of our military students remain in the service and continue to take on significant leadership roles there. Additionally, some of our students are entrepreneurs who leverage their ODU MBA to launch and grow their own businesses. Some prospective candidates expect the rigor of an online MBA program to be less than that of a traditional residential program; however, at ODU these are the same degrees. Candidates should not be surprised at the intensity of the rigor of the online MBA at ODU. The ODU MBA is an analytically rigorous program that is intended for high-potential managers to make the leap to the senior executive suite. I would urge prospective students to be sure they are ready for the commitment required to be a successful online MBA student. In some respects, the online program requires even more discipline than a residential program in order to complete it successfully. Prospective online MBA candidates also need to make sure they have a clear understanding of what they hope to get out of their MBA experience. One of the great benefits of top MBA programs is the opportunity to build your professional network. As an online MBA student, you will have to take at least some ownership of this process in order to maximize its benefit to you. Why should a prospective MBA candidate choose Old Dominion University? A prospective MBA candidate would do well to choose Old Dominion University for its high-quality, high-value education. The ODU MBA is known to advance its graduates’ careers and offers an excellent ROI. The program stresses the core competencies that are demanded of successful leaders and creates life-long learners who are well-prepared to shape the future in a rapidly evolving, and increasingly global, business environment.